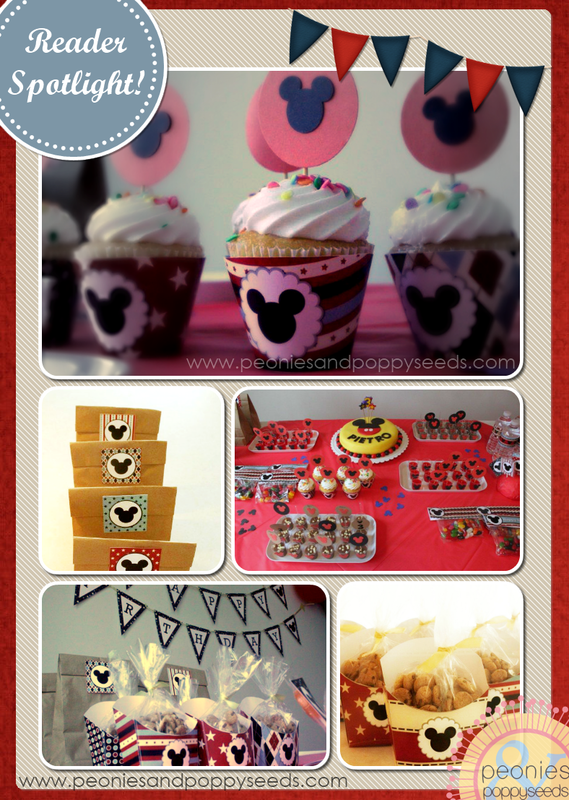 Today's Reader Spotlight comes to us courtesy of Roberta who hosted a Mickey Mouse Birthday Bash for her three year old son. We think it turned out fantastic! And we love how she used our printables so that they worked for HER! Remember, you can use 'em however you need too! You can see that she used the favor tags to sass up some brown paper lunch bags, and how cute are her fry boxes full of mini cookies? 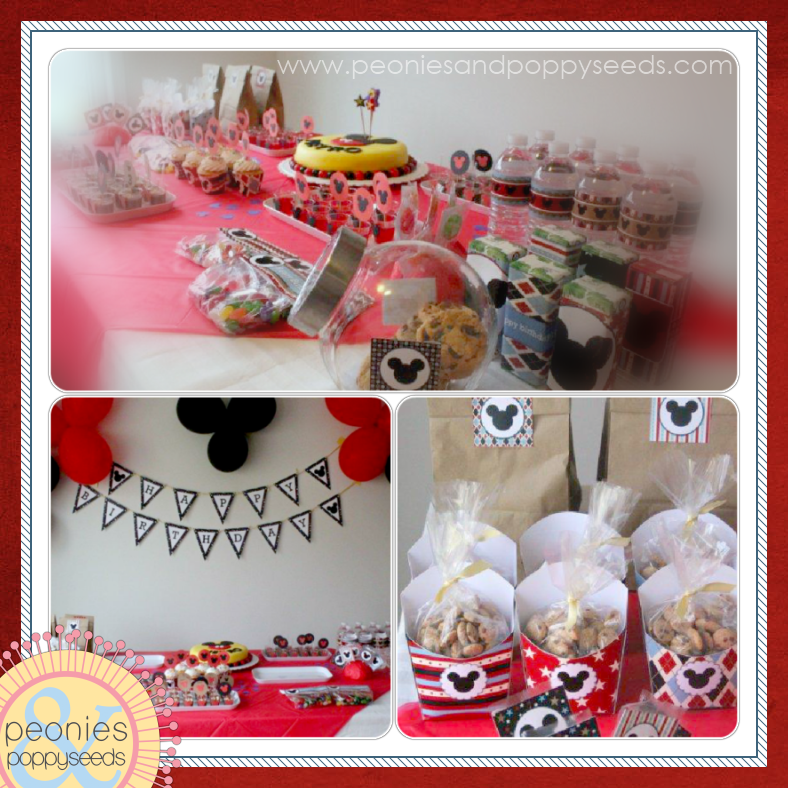 Thanks for sharing your party with us Roberta! Did we come to your party via your decorations? We would love to see!